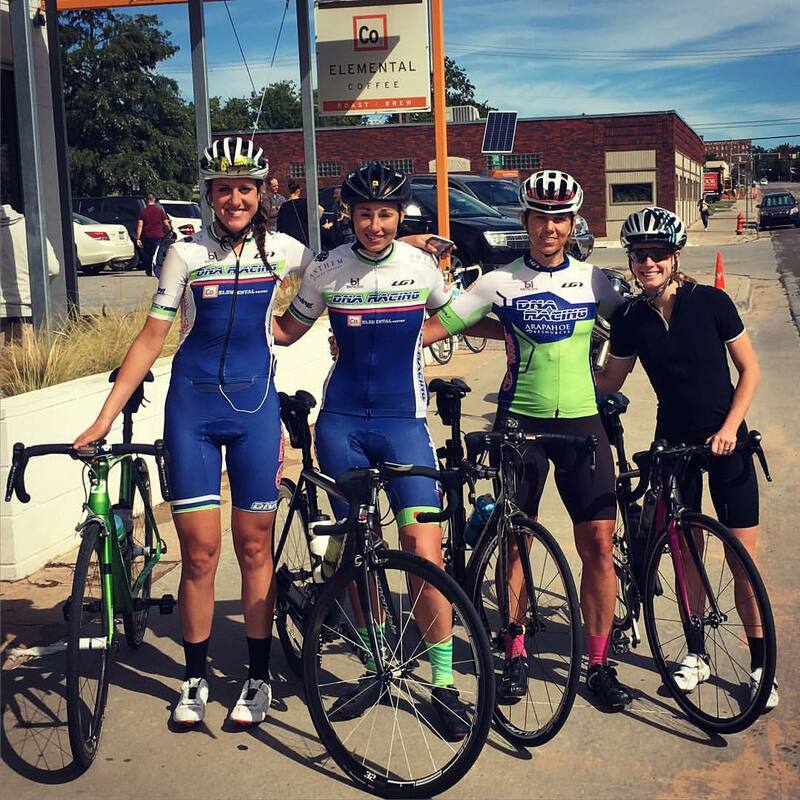 The Zwift Academy provides the opportunity for women cyclists to develop their fitness and connect with other riders. One person will ride off into the sun with a pro contract with Canyon//SRAM Racing. These women are mothers, daughters, wives, students, entrepreneurs, dreamers and athletes. Each person history develops their perspective on challenges and their ability to overcome and strive for excellence. Achieving greatness is not for the faint of heart, requiring determination and focus while juggling everything else life throws at us. The women of the Zwift Academy have proven that they are capable of handling anything while still striving for personal greatness. Along with Canyon//SRAM Racing and Zwift, we have given our support by equipping each of the twelve semi- finalists with the SNAP Power Trainer and a trainer mat. We thought it was only fitting to have the Academy participants on the same professional grade training products as Canyon//SRAM. What is your favorite thing about riding a bike? I love that I can get on a bike frustrated and tired, but after an hour or so on the bike, I can finish the ride with a new positive perspective. What prompted you start using an indoor trainer? I began training for a triathlon as a college student since my classes and other commitments were spread throughout the day I struggled to consistently fit in my biking sessions. Since the 1-2 hour windows in my schedule were not enough time to get in a solid ride outside. I originally enjoyed biking on the trainer because it was more time efficient. It provided a lot more flexibility for my training schedule because my riding was not dependent on the time of day, traffic conditions, or weather. The trainer eliminated a lot of the variables that made it difficult to complete my bike sessions during the week, and ultimately my training consistency and performance improved. I also used a trainer for our “spin” team practices on the Triathlon team at the University of Texas at Austin. Using trainers was beneficial for the team since each of us was able to do the workout together but at our individual performance levels. It was also much safer and time efficient option than group rides outside. Why the Wahoo SNAP Smart Trainer? It is affordable, easy to setup, easy to operate, easy to store, allows you to train with power, and is compatible with virtually all 3rd party cycling software. How has using the SNAP Smart Trainer enhanced your training? Using a Smart Trainer allows you to simulate different terrain while on the trainer and it feels more like riding on the road. Also, since it is a smart trainer the SNAP can be used to ride on a simulated course for your next key race. The applied resistance allows you to easily do intervals like low cadence strength work, which is difficult to achieve on a fluid trainer. Finally, using a smart trainer with programs like Zwift makes riding indoors much more fun and entertaining! How do you manage the everyday activities of family, work and social time with your training? How has using the SNAP Smart Trainer enhanced your ride experience on Zwift? Using the smart trainer with Zwift allows me to have more of an immersive experience that is very similar to riding outdoors. Additionally, using SNAP on Zwift gives me the flexibility to do a training session in either ERG mode or by controlling the trainer resistance from an app on my phone. This means I can do a whole interval workout in one gear, and I will not run out of gears during higher intensity rides. What’s your favorite thing about using an indoor trainer, specifically the SNAP? Its easy to setup, it is easy to take your bike on/off the trainer, the app and calibration is very user-friendly, and the flexibility to use 3rd party apps. For me, I can ride on Zwift, a program that simulates the bike the course of my next race, or a video course of scenic rides around the world. Also, the SNAP is easy to travel with. I can bring it along for races or when I go out of town for the weekend, and I can easily get in a pre-race warm up, or training sessions in the hotel room. If you had to give one piece of advise to anyone thinking about using an indoor trainer to progress in their training what would you say and why? If you want to be a good rider but have limited time, getting an indoor trainer is the best investment you can make. I know many riders really hate trainer sessions but below Is the most convincing argument I could make to get a trainer. Much like a student needs to study alone for an exam, a trainer is essential for cyclist/triathlete to get the most out of their training. A successful student spends time studying alone so he/she can focus on the parts of the exam you need to learn. A good student will also study with a group so he/she can learn different concepts from each other. Riding outside or in group rides is like studying in a group. Similar to how a student will bring his/her knowledge to the study group, the cyclist brings the fitness gains he/she made on the trainer onto the road, in races and group rides. To be a successful and happy student, both studying alone and with a group is necessary. 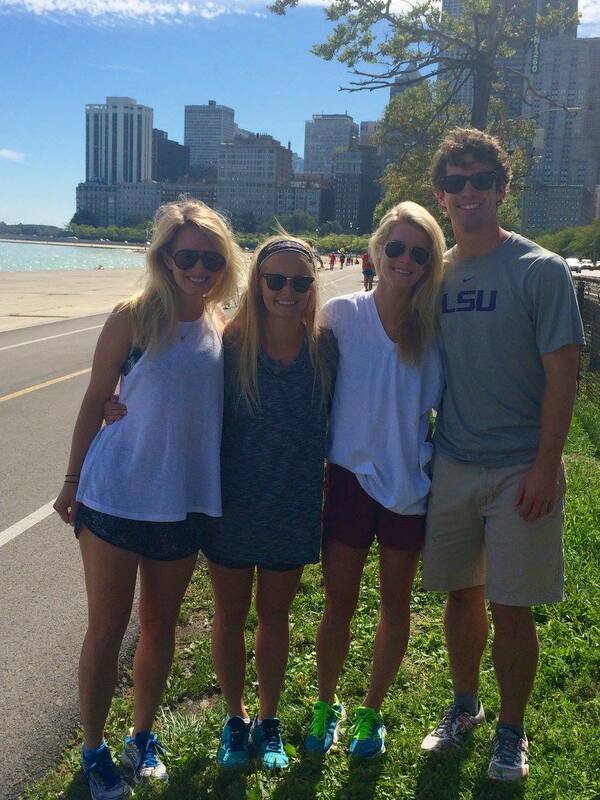 In the same light to be a successful athlete, it is important to spend time on the trainer and outside with others. What’s motivates you and keep you going? I am motivated because the day-to-day training is personally rewarding. I find the day-to-day training rewarding because unlike other aspects of life, training will almost certainly reward the day to day hard work and dedication. What do you do for fun outside of training? 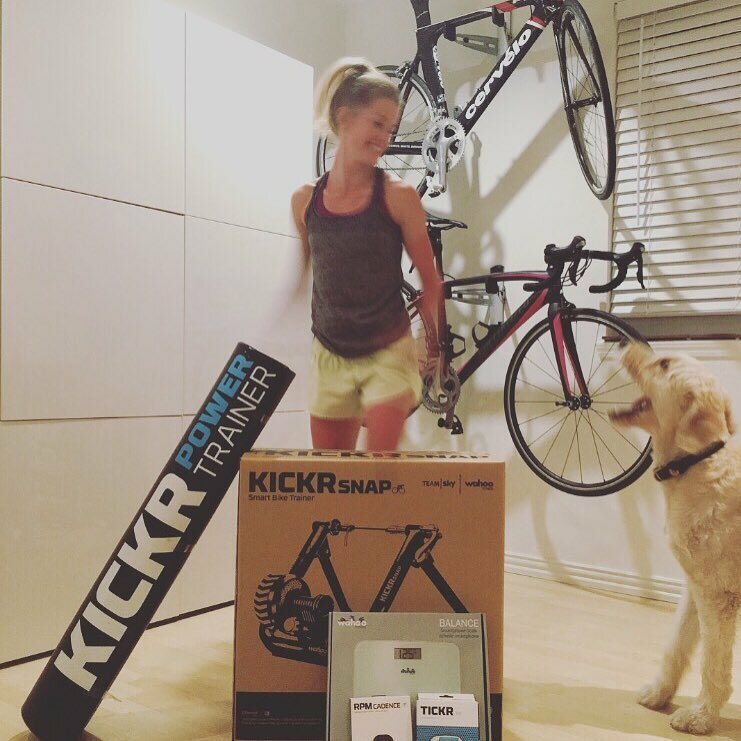 Other than training I like spending my spare time going on walks with my dog, cooking with my husband, building furniture for our new home (I am a big fan of IKEA hacks), or fixing our family’s and friend’s bikes. What is on your music playlist when you are training? It depends on what mood I am in. If I need to get through a hard interval, I like to listen to Avicii or something similar. If I need a little inspiration or am feeling cheesy, I like to listen to movie soundtrack scores. Wahoo is proud to support all of the semi- finalists of the Zwift Academy. Check back for more Academy rider check- ins as we roll closer and closer to the finals.